I have been very fortunate recently to get in touch with two very valuable resources for the Krueger/Strehlow side of my family. I’ll try to be as brief as possible with the explanations before I get to the goodies. I became aware of the work of Virgil Strehlow (b 1939) some time ago. He seems to have been an incredibly talented genealogist who did a lot of work on the Strehlow family in a time when family research wasn’t as easy as clicking around online or sending out emails (1980’s). Virgil was the descendant of Johann Christoph Herman Strehlow (1864 – 1941). Unfortunately, Virgil died in 2010, but I managed to locate his brother Jim and left a message for him asking about what had become of Virgil’s work. Jim and his wife Marlene recently got back to me, and we’re planning to meet up next month up in Wausau. They have most of Virgil’s materials and are willing to let me scan the things I need. It should be a goldmine, and I’m very excited about it! To tide me over they’ve sent me a couple of fantastic Strehlow/Krueger family photos. The first is a photo of Johann Ferdinand Strehlow (1831 – 1883) and his wife Maria Wilhelmine Schwarz (1830 – 1904) with their two surviving children (six of the eight Strehlow children died in infancy or early childhood). Johann Christoph Herman Strehlow is on the left and his sister Bertha Albertine Wilhelmine Strehlow (1862 – 1931) is to the right in the back row. I’m guessing this was taken about 1875, and is probably the earliest family photo I have at this point. Ferdinand and Wilhelmine were married in Prussia 19 Nov 1856, and the Strehlow family came to the US from Wandhagen, Kreis Schlawe, Pomerania, Prussia about 1868. 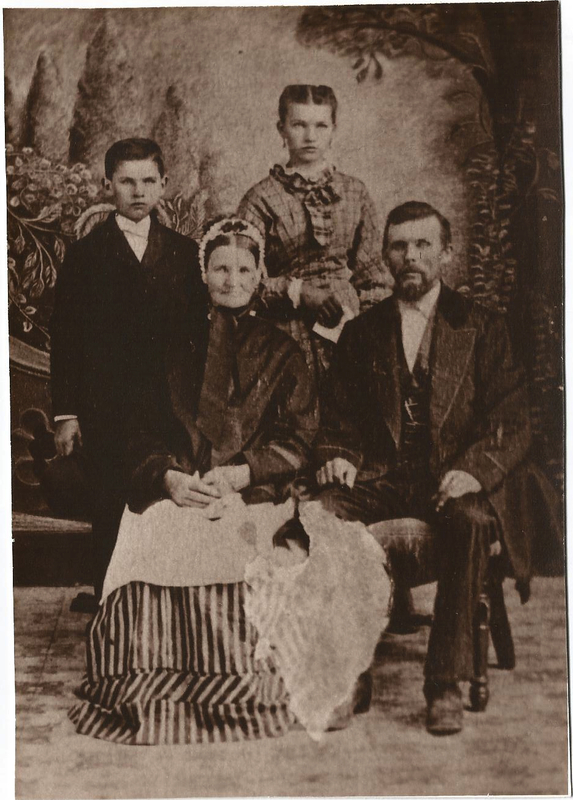 Bertha Strehlow married my great-great grand-uncle Carl Bertold Krueger (1864 – 1949) on 10 Dec 1886. 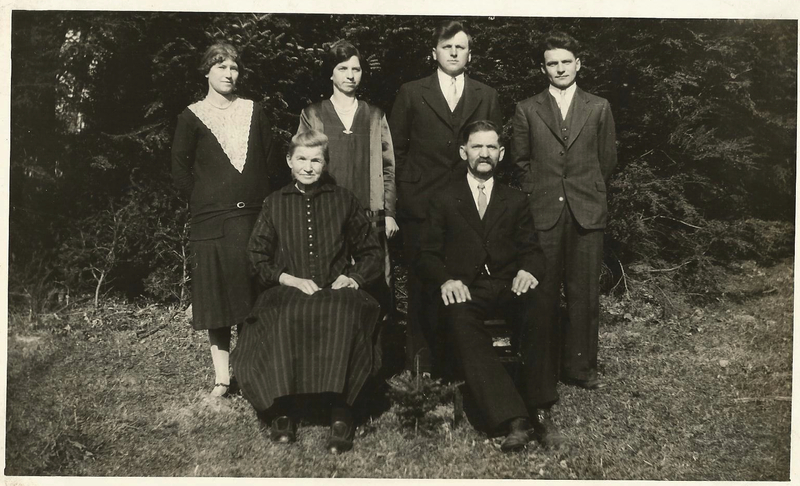 The second photo is of the entire Carl Bertold Krueger family, taken about 1925. From left to right it’s Anna Marta Auguste Krueger (1887 – 1981), Bertha Strehlow, Helena Bertha Emilie Krueger (1892 – 1963), Walther Hermann Heinrich Krueger (1893 – 1979), Carl Bertold Krueger, and Wilhelm August Hermann Krueger (1897 – 1973). Wilhelm (William) was the father of my beloved cousin LaVila Krueger Luedtke. Two other children in this family died prior to this photo. Twins (a boy and girl) were born in 1889. The girl (un-named) died immediately and her brother Paul William Bertold Krueger died of pneumonia at the age of eight. The other person I found was Heidi Dumke Timmerman, who is a descendant of Walther Krueger (seen in the photo above). I’ll share her photos and contributions in a separate post soon! On a lark, I did a search for “Morse Family Genealogy” tonight and came across a website dedicated to the Morse family in New England. So I shot them a note about my 4x great grandmother Sally Maria “Mariah” Morse. Sally Maria “Mariah” Morse was born in Sharon, VT on 24 Mar 1805 and moved to Chateaugay, NY about 1809 with her family. She married Samuel Pond (of the well-documented Pond family) in Burke, NY on 3 Aug 1822. In fact, in the 1850 Census for Burke, NY Mariah’s mother Sarah Morse is living with them, so her father probably died before that. I have tried (so far without success) to find her father’s name. 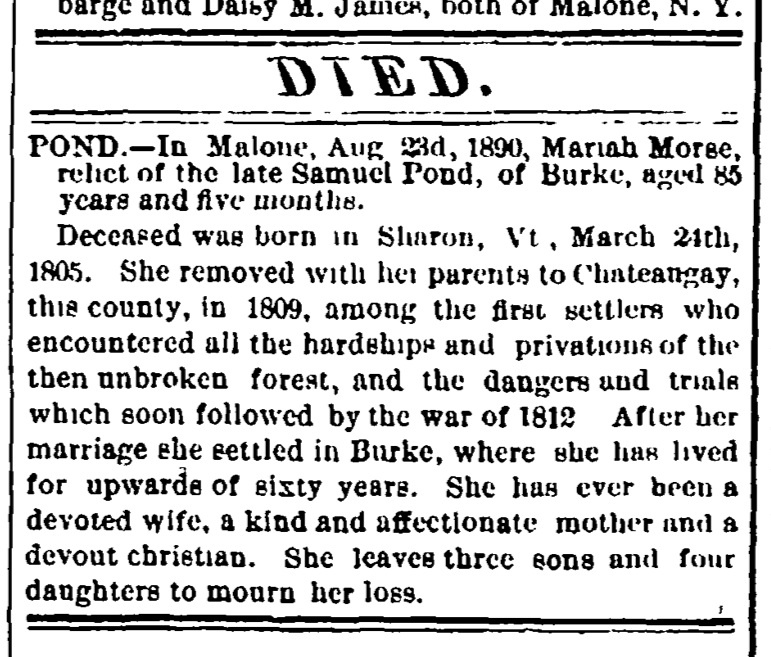 Mariah and Samuel Pond’s first daughter was Louisa “Lois” A. Pond (1823-1896) who was named after Samuel’s previous wife Louisa Adams whom he married 28 Nov 1821 in Whiting, VT.
Louisa Pond married Charles H. L. Thomas (11 May 1823 – 8 Aug 1896), a blacksmith from Chazy, NY, about 1845 in Burke, New York. They had six children, all of whom I have researched thoroughly. The eldest son was Horace Luther Thomas (1846-1929), my 2x great grandfather. Horace married Anna Clifford (2 Aug 1851 – 8 Jan 1929), the daughter of Irish immigrants, born in Alburg, Vermont. They were married 8 July 1872 in Colchester, Vermont. They had seven children, the youngest of whom was Frederick Clifford Thomas Sr. (1889 – 1976), my great-grandfather. Frederick Sr. married Delia Bacon, the descendant of one of the first French families to settle in Quebec City in 1645. My 8th great grandfather Gilles Bacon (1622-1654) arrived in Quebec as a Jesuit missionary in 1645. Delia and Fred had two children, a girl and a boy, before Delia died in the Spanish Flu Epidemic of 1918. The boy was Frederick Clifford Thomas Jr (1918-2006), my grandfather. His eldest son is Frederick Clifford Thomas III, my father. Oddly, the Morse family is from Dedham, Massachusetts, the same town the Fairbanks Family was from. Apparently the webmaster for the Morse family site is, like me, also related to the Fairbanks family. Small world back in the New England of the 17th Century! 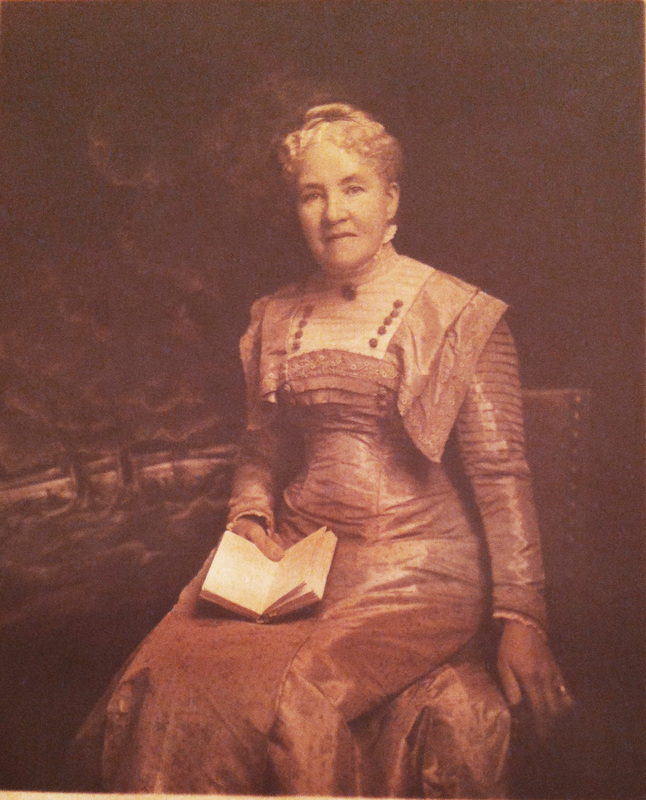 I’ve been doing a lot of work this week on the family of my great-great grandmother Annie Prescott Duff (1847-1930). Annie’s son John Prescott Forrest married Lulu Cairns and John & Lulu were the parents of my father’s mother, Mildred Jean Forrest [Thomas]. Annie was born in Lunenberg, Nova Scotia, Canada. She had two brothers and two sisters, and was the daughter of a well-known Presbyterian minister in Nova Scotia. She ended up marrying another well-known Presbyterian minister in Nova Scotia… my great-great grandfather John Forrest, about whom I’ve written several blogs and will probably write several more. It’s called “Genealogy of the Fairbanks Family in America, 1633-1897” written by Lorenzo Sayles Fairbanks in 1897. Once again, I am related to every person in the book, which is always a strange feeling. Jane Elizabeth’s father was John Eleazer Fairbanks (1793 – 1860) who was a merchant and member of the Legislative Council of Nova Scotia. He was a geologist and mineralogist who “accumulated a very fine collection of native and foreign minerals”. He married his cousin, Ann Prescott, in 1816. John’s father was Rufus Fairbanks (1759 – 1842) born in Killingly, CT and died in Halifax, N.S. He graduated Dartmouth College (in Mass.) in 1784 and then moved to Halifax. He was “a useful and public-spirited citizen, and a prominent magistrate”. He “inherited a large property from his uncle [Joseph Fairbanks] on which he erected several buildings. He gave his family every advantage in education and left his children the heritage of an upright and honorable name.” He married Ann Prescott 12 Oct 1766. Apparently Ann was the issue of two families (the Prescotts and the Blackdens) who were “families of high standing”. Rufus’s father was the Reverand Eleazer Fairbanks (1716-1760), who was born in Sherborn, Mass and moved to Plainfield, Conn, then to Killingly, Conn. He married Prudence Cary and had seven children. He was a member of the congregational church from 1753 onward. Eleazer’s father was Captain Eleasur Fairbanks (1690-1741), who was born and died in Sherborn, Mass. He married the daughter of Captain Samuel Bullard, Martha, on Christmas Day 1712. They had a dozen children, several of whom led noteworthy lives. Captain Fairbanks’s father was Eliesur Fairbanks (1655-1741), who also lived in Sherborn, Mass. He married Martha Lovett in 1676 and they had six children. 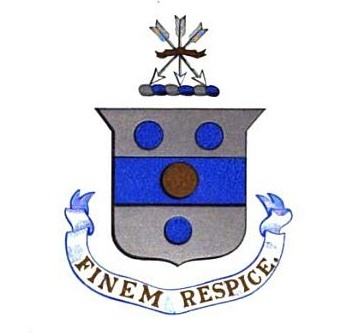 Eleisur’s father was Captain George Fairbanks (1619 – 1683) who came with his father from England and resided in Dedham, Mass until 1657 when they moved to Sherborn. He was said to be the first settler there and “was an esteemed citizen and one of the selectmen, and a member of the Artillery Company”. He drowned in 1682 or 3. He was married in 1646 to Mary Adams and they had seven children. 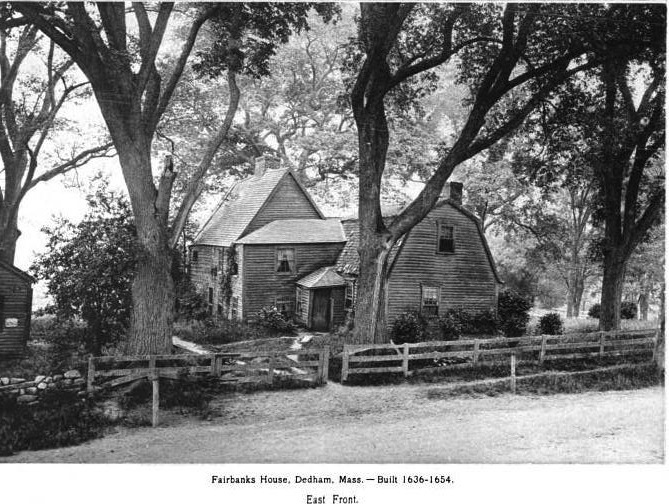 The Fairbanks House in Dedham, Mass.